Even if you rely on aluminum extrusions for machinery used in your business or as part of products that you pass on to end-users, you may not fully understand how they get made. By learning about the process, you will have a greater appreciation for what manufacturing companies make and the custom aluminum extrusions that suppliers provide. In addition to standard parts and components, you can always choose custom aluminum extrusions. With that, there are few limitations as to size and extruded aluminum shapes. Therefore, if you need a one-off product or multiple parts or components made in a unique shape, the right company can meet your specifications. 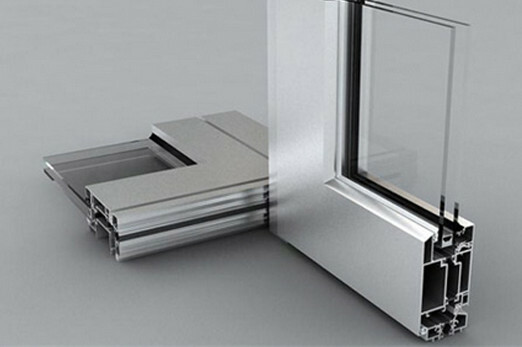 The process of extruding aluminum consists of forcing a heated billet, which is raw material, through a set of predetermined dies using heat and pressure applied by a ram. The billet, which has a cylindrical shape, varies in both length and thickness. Following are the actual steps required to complete this process. Material Preheating – The billet gets cut to the correct length. From there, it moves to a tunnel heater, which heats the aluminum material to around 900 degrees Fahrenheit, although the exact temperature depends on the characteristics of the aluminum. In other words, if the billet is 100 percent pure, a lower heat may suffice. Extrusion – Once the billet heats up, it gets coated with a lubricant. That way, as it goes through the process, it will not stick to anything. The heated material goes into a cradle with dies that match what you need in the final product. A ram then forces the billet through the dies, using 1,600 to 9,000 tons of pressure, as required. One of the most critical aspects of this step is maintaining a consistent temperature. Cooling – Once the material goes through the dies, it gets extruded and cooled using air or water, sometimes both. Stretching/Cutting – By placing a gripper on both ends of the material, the extrusion machine then stretches it. By doing so, the piece gets pulled straight. While stretched out, the pieces get cut to the length that you need. Aging – Finally, the extruded aluminum gets aged. For this, the part or component gets heated to roughly 350 degrees Fahrenheit for at least four hours. During that time, the aluminum hardens. At RPM Industries, we use state-of-the-art machines and high-quality aluminum for our extrusion process. That way, you end up with a stellar finished product. You can either visit us online or call to get more information about our company and the services that we provide.